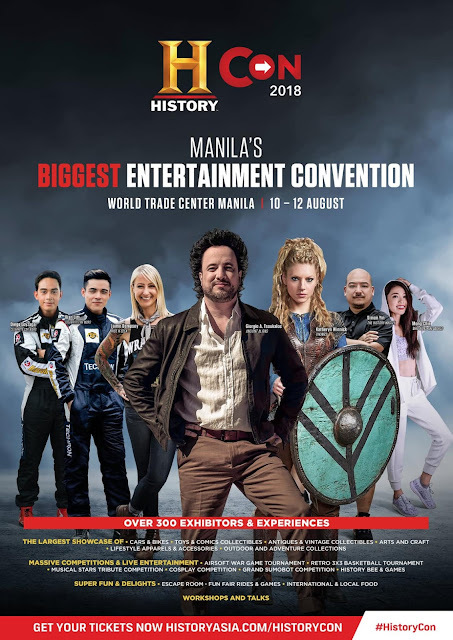 International and local stars are set to appear at the upcoming HISTORY CON, dubbed as the country's entertainment convention happening from 10 to 12 August 2018 at the World Trade Center in Pasay City. HISTORY CON is a world-class affair which garnered a record-breaking attendance of 68,800 people in 2017 and 50,000 people in 2016. With over 300 hundred astonishing exhibits from historic displays to exclusive talks, workshops, and more, this year’s HCON is definitely one not to miss. Katheryn Winnick, the Canadian actress from History Channel Emmy winning series, "Vikings" will be making her first special appearance in Asia at History Con 2018. For her role as Lagertha since to 2013, she was nominated for Best Supporting Actress in A Drama Series at Critics' Choice Award 2015, Best Actress In A TV Series broacasted in the US at Golden Maple Awards 2015 and Best Actress In A Drama Series at Women's Image Network Awards 2014 to 2016. 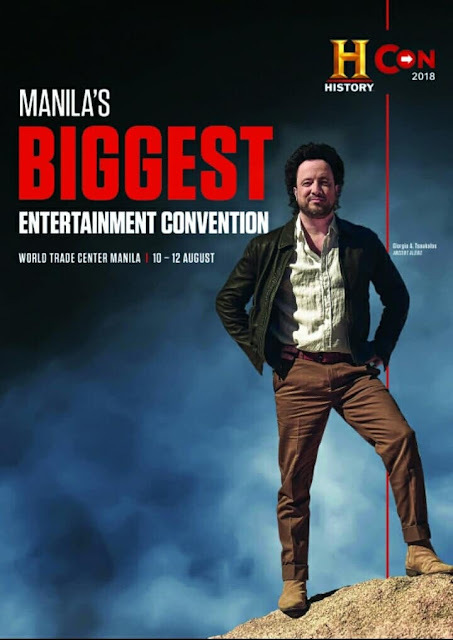 Giorgio A. Tsoukalos, fans are invited to explore the unexplained with Giorgio A. Tsoukalos and examine some of the world’s greatest mysteries about extra-terrestrial existence throughout history. This special talk will bring together truth-seekers and HISTORY fans on the discussion, debate and exploration up-close with the leading expert himself. Every purchase of the HISTORY MAKER VIP pass or HISTORY Maker Pass allows the ticket purchaser to request a slot to attend the Ancient Aliens ‘LIVE’ Session with Giorgio A. Tsoukalos”. Ancient Aliens explores the theory that extra-terrestrials have been visiting the Earth for millions of years. The series is produced by Prometheus Entertainment. Simon Yin, the actor of History Hustle and Hidden Cities Extreme from Atlanta, Georgia is also a director and TV host. He co-founded his own production company, Mustard and currently base in Hongkong. Get up close and personal with other stellar lineup of stars including Jamie Dempsey of Ride N’Seek, Mongchin Yeoh of Who Runs the World, and will also include Xian Lim and Diego Loyzaga starring in HISTORY Asia’s award-winning original automotive reality series, Celebritar Wars. HISTORY CON 2018 tickets are available in three different categories with exclusive privileges for the HISTORY MAKER VIP pass at PHP 10,000, limited to 100 tickets for sale only. Other ticketing categories include the HISTORY MAKER pass at PHP 2,500 for a three-day admission and GENERAL ADMISSION pass at PHP 350 for a one-day access to the mega entertainment convention. Tickets are available for sale exclusively on SM Tickets. Text by Gilbert Kim Sancha.